A new FLOW initiative helping communities put water stewardship at the heart of all they do. 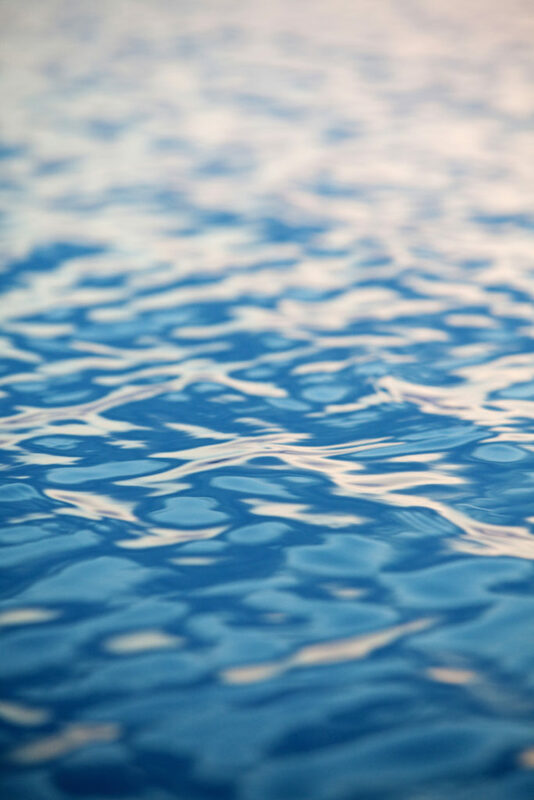 Together with the University of Michigan School for Environment and Sustainability (SEAS), FLOW is building the Blue Communities project to promote tangible protection of waters across the Great Lakes Basin by creating a model Blue Communities initiative. 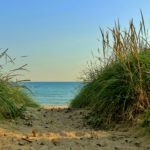 Initial blueprints exist, but FLOW believes many communities in the Great Lakes Basin, and certainly Michigan, are ready to build from these foundations and meaningfully integrate Blue Communities goals and principles into our daily lives, particularly with the dramatic impacts of climate change. By partnering with local nonprofits and foundations, businesses, and government, FLOW is committed to empowering local and regional communities and leaders to protect our freshwater seas. Professor Seelbach's experiences bridge the academic study of aquatic ecosystems and its application within a range of resource management agencies. 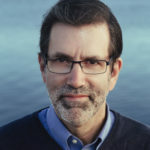 He has worked for the Michigan Department of Natural Resources, Fisheries Division as Research Scientist and Statewide Research Director; for the USGS Great Lakes Science Center, as Coastal Ecosystems Branch Chief; for the Great Lakes Commission as Senior Science Advisor; and currently serves the Michigan Department of Natural Resources, Office of the Great Lakes, as Senior Fellow. He has helped with major initiatives regarding watershed assessment and management, ecological flows and water allocation policy, water resources monitoring, and coastal zone management. Adam has experience creating interview guides and conducting individual interviews, using RStudio for quantitative research, and researching primary literature. He is excited to learn how to craft an effective survey and learn more about hydrology and the Grand Traverse Bay Watershed. Adam's experience will be valuable in interviewing stakeholders and crafting meaningful reports. Kaitlin has experience performing, analyzing and writing literature reviews. She has used ArcGIS software for geospatial work and RStudio for statistics. She is excited to expand her hydrology knowledge and leverage her informatics experience. Kangyu has experience with water-related site design and urban planning. She has basic knowledge of green infrastructure, especially in stormwater management and the concept of sponge cities. 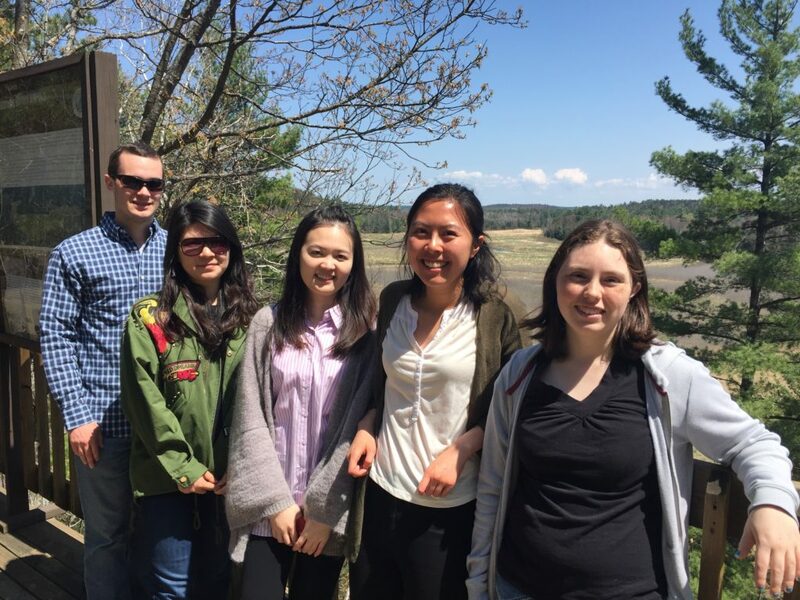 Kangyu's experience with case studies, background research and site analysis will be an asset in building a strong research foundation for the Blue Communities project. Lingzi is experienced with stormwater management and green infrastructure. She has experience using Photoshop and Illustrator for design deliverables as well as ArcGIS for geodesign. Lingzi's experience with space making and ecological design solutions will be helpful to the Blue Communities team. Nancy's academic focus is hydrology and aquatic toxicology, with additional understanding of environmental law, regulation, and justice. Nancy is also experienced in creating maps using ArcGIS, and using RStudio to analyze quantitative data. Nancy's experience will be valuable in understanding the ecological framework of the Grand Traverse Bay Watershed. Although national and state environmental policies are critically important, local communities are where policies take shape in our daily lives. At a time when environmental protection seems less likely to come from Washington or Lansing, hope – and best practices – begin in local communities. That is the foundation of our Blue Communities initiative. The Blue Communities project empowers communities to instill the values of water stewardship in their policies and practices. This grassroots, place-based program is built on the knowledge that water is precious to all, and its stewardship has the potential to unite communities in achieving environmental goals. Around the Great Lakes, which contain roughly 20% of the world’s available surface fresh water, old and failing infrastructure, urbanization, intense agricultural uses, runoff and many more sources are threatening water quality. The Grand Traverse Bay watershed contains portions of two of the fastest growing counties in Michigan. Growth is expected to continue. As the population increases, the region will need to think ahead on how to provide clean drinking water and to protect the water amenities that support its economy and quality of life. FLOW is launching the initiative with the assistance of a team of graduate students from the University of Michigan, supervised by Dr. Paul Seelbach. These students, whose expertise spans several disciplines, will meet with community stakeholders, review area communities’ water-related policies and practices, research best practices from around the country and world, and work with FLOW to produce recommendations defining what constitutes a Blue Community while providing a road map on how to get there locally -- and ultimately all around the Great Lakes. What is the Blue Communities Project? Promote publicly financed, owned, and operated water and wastewater services." 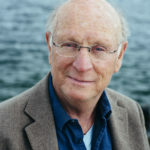 James Olson is Founder and President of Flow for Love of Water (FLOW), and senior principal of Olson, Bzdok & Howard, P.C. 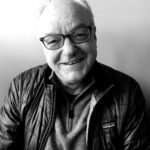 Jim writes and publishes research, reports, articles, and books on current and emerging issues including water, commons, public trust, climate change, Great Lakes diversions, privatization, water scarcity, and new solutions to systemic threats to water in the 21st century. Jim has represented numerous citizens and communities in trial and appellate courts on matters involving water, public trust, environmental, land use, takings, and hazardous and toxic tort law. 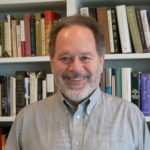 Jim currently teaches a Water and Sustainability and Public Trust course at the Great Lakes Water Studies Institute, Northwestern Michigan College. He graduated from Michigan State College of Law (Detroit College of Law) and has an L.L.M. Degree in public lands, water, and environmental law from the University of Michigan Law School. Liz is an environmental lawyer with eighteen years of experience working on water, sanitation, energy, and environmental governance issues both nationally and internationally. Liz worked for USAID in Thailand as an environmental attorney to implement a regional environmental governance, water, and sanitation program in Southeast Asia. Liz also litigated in San Francisco where she represented clients on natural resource and energy related matters. 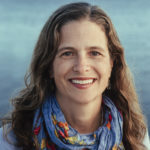 As Executive Director, Liz currently develops and oversees FLOW’s work on key environmental policies and is responsible for fundraising strategy, strategic organizational planning, and directing policy research and programming. Liz has been a leading force in shaping the Oil & Water Don’t Mix Campaign to address the 65-year-old Line 5 pipeline. She graduated from Williams College with a degree in Environmental Studies and History, and received her J.D. and Environmental Certificate from Lewis & Clark Law School. Stanley “Skip” Pruss is the current board chair of FLOW. 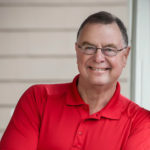 Skip founded 5 Lakes Energy LLC, a clean energy consultancy and was the Director of the Michigan Department of Energy, Labor and Economic Growth. Under Governor Jennifer Granholm, Skip was Michigan’s Chief Energy Officer, Special Advisor for Renewable Energy and the Environment, and Chair of the Great Lakes Offshore Wind Council. Skip also served on the U.S. Department of Energy, Energy Efficiency and Renewable Energy Advisory Committee, providing input to Secretary of Energy Steven Chu on renewable energy and energy efficiency programs, policies and agency spending priorities. 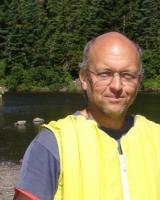 Rick Kane is a FLOW board member and international technical and management professional. He provides expertise on risk assessment, environmental management, and sustainability with a focus on Great Lakes issues. Rick was the Director of Environment, Transportation Safety, Emergency Services and Security for Solvay-Rhodia Inc., a global chemical company and held a number of international positions including President of Canadian operations, vice-president for several global businesses and general manager for the Asia-Pacific region. He established and managed manufacturing and R&D facilities in South East Asia, China, Japan and Europe. Rick earned B.S. degrees in Chemistry and Chemical Engineering from the University of Michigan and Master’s degree in International Business from the University of Dallas. He is board certified as a CPP (Certified Protection Professional), a CHMM (Certified Hazardous Materials Manager) and a QEP (Qualified Environmental Professional). We are engaging non-government organizations, businesses, local units of government, foundations, and citizens to create an integrated Blue Communities project.